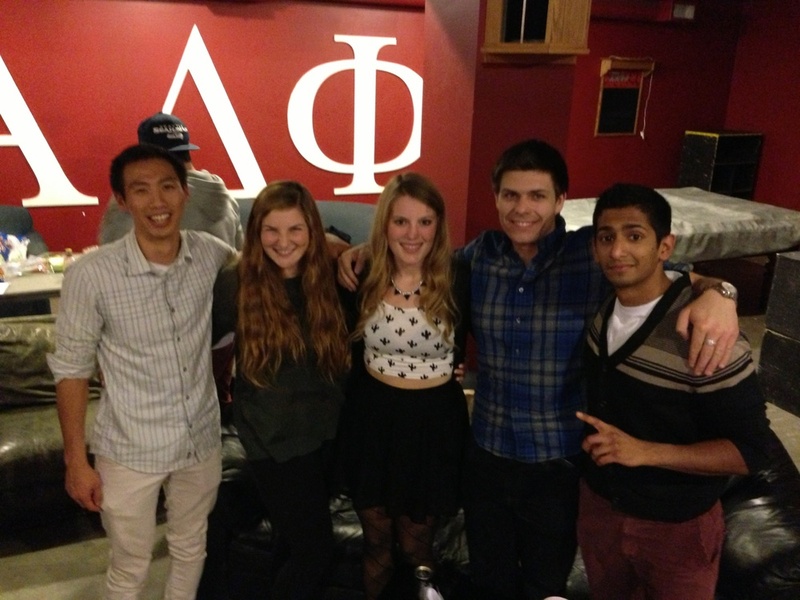 Fostering the ideals of our literary fraternity, Alpha Delta Phi decided to host its first ever trivia night at the house while celebrating the birthdays of Alumnus Brother Ben Graham and Gamma Phi Alumnae Lindy Chow. Joined by the ladies of Gamma Phi Beta, teams battled it out answering questions ranging from literature to geography to pop culture. The night was filled with debate and discussions with everyone enjoying the well prepared questions organized by Literary Chair Brother Steven Thompson. Sushi and snacks were also provided to fuel the minds leading to a fun and engaging night for all. Kudos to team "Made in China" for besting all the others and winning the prize of a night out at Mahoney's! Make sure to attend the next one as it will surely be happening again.